My wife works as an English teacher in a local community college. She has two co-workers, Kristen and Mark. Both of them are, as she puts it, “really, really bad at math.” They’re both aware of the fact, never more than when they’re tallying test scores or providing statistics for departmental meetings. But they treat their apparent lack of ability in completely different ways. Kristen is ashamed of her problems with numeracy. She suffers anxiety when the subject comes up, and goes out of her way to avoid having to do anything with numbers. For a while now, her colleagues have been quietly doing all the statistical work she has to contribute. They go through her test scores to ensure that she’s got the basic addition right. They check all her work with percentages. When she organizes paid activities and trips for students, someone else figures out how much to charge each one. Kristen hated having to ask for help, but, as she saw it, she had no choice. Mark, on the other hand, is breezy and upfront about the problem. “Oh yes, I’m completely useless with numbers,” he says. “I can barely work a calculator.” He makes a joke of it, knowing that when it comes to the crunch, someone else will probably step in and help. And at least he has the confidence to ask for that help. But he’s resigned to never being able to do calculations that most people would find simple. Mark’s attitude to his shortcoming is telling. It’s still socially acceptable to have poor numeracy, in a way that it just isn’t with other key skills. Imagine hearing someone say cheerfully, “Oh, I can barely read and write. I just get my partner to deal with all that.” Yet being able to handle numbers and data is an essential life skill, even if your career doesn’t depend on it. Kristen and Mark are two different people, with very different reactions to their problems. But they have something important in common: they both assume that they’re just bad at math, and that they won’t change – or can’t. This assumption holds back millions of people in their work and personal lives. And, in very many cases, it’s not true. 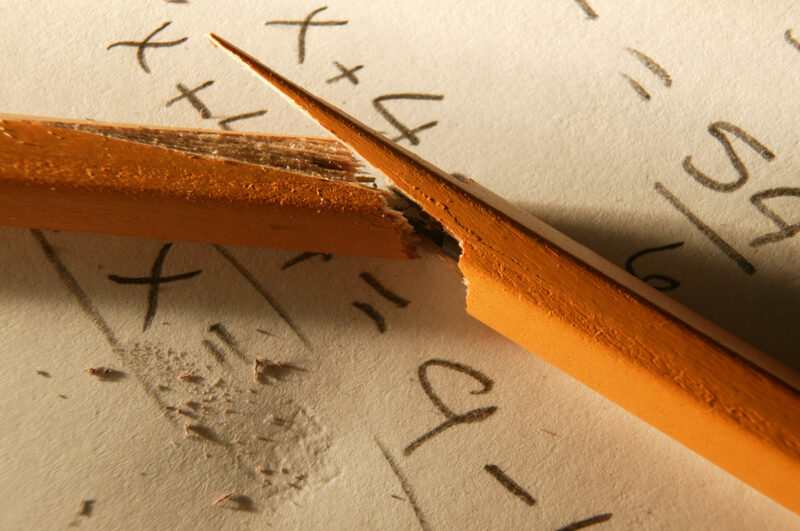 Sure, some people do suffer from a condition called “dyscalculia.” This is similar to dyslexia, except that instead of being unable to process words correctly, people with dyscalculia can’t manage numbers. If you have it, you’ll likely struggle to make sense of any math. But many people can improve their competence in math. It’s not that they’ve been lazy, and it’s certainly not that they’re stupid. But they’ve been pigeonholed throughout their lives as being “bad at numbers.” Sometimes it’s teachers who’ve made that assumption, but very often it’s the people themselves. Nowadays, there’s a growing awareness of the scale of the problem, and of the need people have for help. There are many online math resources, and government and nonprofit initiatives offer assessment and assistance. In the U.K., for example, the nonprofit National Numeracy aims to help people assess and improve their capability with numbers. There’s no direct equivalent in the U.S.A., though initiatives and resources are available locally. Improving your number skills can help you with your confidence, as well as with the many day-to-day tasks that depend on them. And, if you choose the right resources – such as our article on Basic Workplace Numeracy – getting your math skills up to scratch really can be easier than you think. Have you struggled with math at work? What steps have you taken to improve your numeracy skills? Share your experiences in the Comments box, below!